California is a hub of entertainment, and there’s more to the Golden State than just glitz and glamour. There’s a less serious side of it all, and that comes in California’s top-notch comedy clubs. From Los Angeles to San Francisco, the laughs don’t stop. 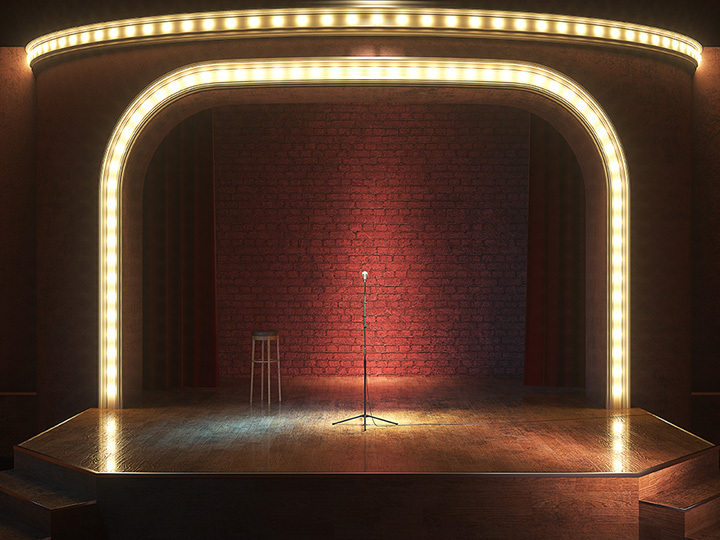 Take a look at the best comedy clubs in the state! The Comedy Store was founded by comedians back in the 1970s and has been giving people giggles ever since. It has a big history in Hollywood, hosting special events for the stars and having a reputation for giving comedians a boost, including Tim Allen, Billy Crystal and Dave Chappelle. The Groundlings is both an improv school and popular venue. Many comedians go on to star in other improv style comedic ventures, such as “Saturday Night Live.” Enjoying a show at The Groundlings is kind of like getting a look at a future star. The Ice House in Pasadena is kind of a best kept secret. Throughout the decades, big names and local acts have appeared at The Ice House. Enjoy a drink or a full meal as you watch the show or try one of the numerous restaurants in the neighborhood. Jay Leno makes semi-regular appearances at The Comedy & Magic Club and you can catch other big name performers as well, in addition comedians still cracking jokes under the fame radar. Ocean Beach Comedy at Winstons features comics performing at the famous live music venue. Low cover charges and open mic nights make it a popular place to check out some laughs on the cheap. When Lestat’s isn’t serving coffee to cramming college students, the coffeehouse offers open mic ops and comedians that you may recognize from HBO or Comedy Central. Cobb’s Comedy Club is one of two dedicated comedy clubs in San Francisco. Comedians that appear are often recognizable from their comedy specials or cracking jokes with Late Night TV show hosts or appearing in roles in movies and TV shows. And of course, there’s famous faces as well. Punchline Comedy Club is the other San Francisco comedy club and has everyone from famous headliners like Dave Chappelle to other famous comedians of the big and small screen. And apparently it’s the best comedy club in the city. Flappers has a wide range of comedic offerings from big names to recognizable faces and even local and up and coming performers. It’s perfect for spending a night near the airport or if you happen to be in town and want a couple of drinks to go with your chuckles or a fun date night. The Laugh Factory labels itself as world famous thanks to being ranked as a No. 1 club in the country. It has been the site of controversy and comedy legend, depending on who is on stage. The Laugh Factory is a showcase for both new talent and open mic nights and so-popular-it’s-hard-to-get-tickets acts. View more California Comedy Clubs.